Few American resort cities rival the romantic slpendor of Atlantic City, New Jersey. Since 1854, this island has evoked dreams and memories of days lived amid white sand beaches, a vibrant boardwalk, exciting amusement piers, and grand hotels. For decades it was a place where teenagers fell in love, returned for honeymoons, and later brought families. 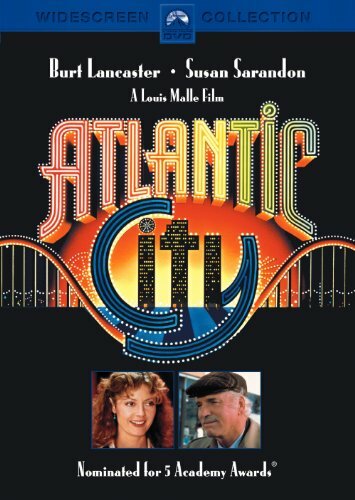 Atlantic Cities is a nostalgic return to the pre-casino days that now seem relatively innocent. The founders believed that the city would become a grand health resort, featuring healthful sea breezes and balmy days. 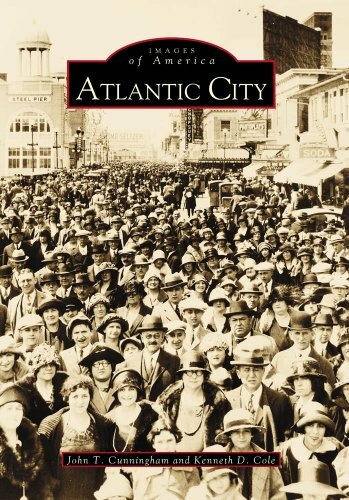 Nearly deserted when the first train loaded with day-trippers arrived on July 1, 1854, Atlantic City, by 1900, was known throughout much of the world as "The Queen of American Resorts." With huge hotels lining the Boardwalk and unique amusement piers jutting into the ocean, the city thrived on what one promoter called "ocean, emotion, and constant promotion." Those were the days when bathers frolicked on the beach in drab clothing, when the Boardwalk was alive with throngs of happy visitors, and Miss America actually strolled the Boardwalk amid the crowds. Images like those, and of course of the annual Easter Parade, one of the East Coast's premier social events, are among the nearly two hundred photographs carefully selected for this long-awaited book.